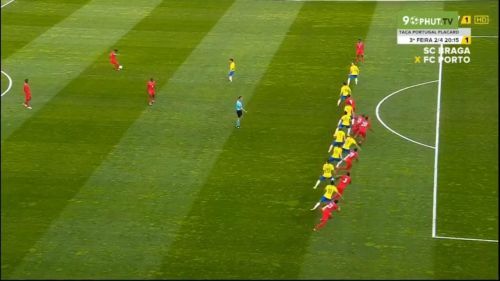 A largely second-string Brazil side was held to a commendable draw by Panama in Lisbon today thanks to a goal that should have been ruled out for offside. Brazil started the game with an experimental B team that included many new faces. First team regulars Thiago Silva, Marquinhos, Alisson, Roberto Firmino, Danilo and Alex Sandro were rested for the relatively tougher second friendly against the Czech Republic on March 26. FC Porto's left back Alex Telles was given his first international cap after an impressive UCL campaign. AC Milan's 21-year-old midfielder Lucas Paqueta was handed the coveted No.10 jersey with Brazil talisman Neymar ruled out due to injury. Real Madrid's Casemiro was handed the captain's armband and Tite sent out a new look backline consisting of Telles, Porto's Eder Miliatao, Inter Milan's Juan Miranda and Corinthians right back Fagner. The Brazilians understandably took some time to establish a rhythm as most of them were playing together for the first time. The Panama team, ranked 76th in the world, managed to keep things tidy in defence, stifling Brazil's creative outlets; Coutinho and Paqueta. The first chance did not come until the 18th minute when Firmino's header went wide off the post after a splendid cross from Philippe Coutinho. FC Barcelona's Arthur was having a great game, picking up almost all the rebounds at the edge of the box. He had two of his trademark long distance drives miss the target by inches. Paqueta repaid the faith shown in him by Tite by scoring with a low drive in the 32nd minute, latching onto a looped cross from Casemiro into the box. Panama were quick on the counters and the defensive naivete of the new look Brazilian backline gifted them an equaliser in the 36th minute. A foul by Richarlison ensued in a freekick from just outside the box for Panama. Erick Davies' pinpoint freekick reached Adolfo Machado, who was left to nod in a free header after the Brazilian defence completely failed to track him. TV replays later showed that Machado was narrowly offside but the referee allowed the goal. Brazil continued to keep the bulk of the possession without really threatening the Panama goal as the Los Canaleros were able to see out the first half on the back of a splendid defensive display from centre backs Machado and Harold Cummings. Brazil started the second half with more cohesion and flair and Richarlison had a superb volley cannon off the woodwork after right-back Fagner found him with a pinpoint pass. 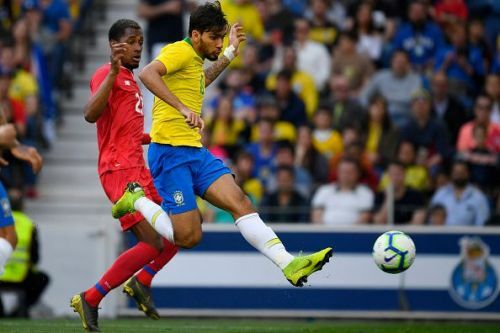 Brazil manager Tite decided to shake things up and brought in winger Everton and Manchester City striker Gabriel Jesus in the 60th minute, replacing the goalscorer Paqueta and an off-colour Roberto Firmino. 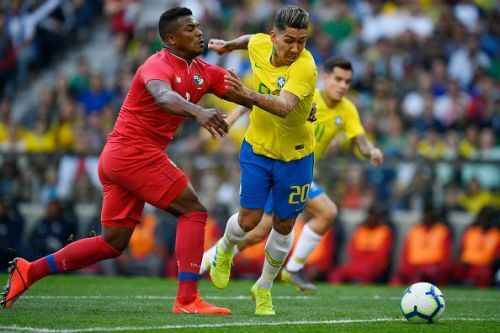 Brazil continued to press for the winner and Casemiro went close in the 71st minute with a sharp header off a corner; again the woodwork coming in the way. The Real Madrid destroyer went close again a minute later, his long distance freekick superbly saved by Panama keeper Luis Mejia. Clearly missing a creative spark in midfield, Tite made his final change, bringing in West Ham United playmaker Felipe Anderson in for Arthur in the 72nd minute. Brazil continued to descend on the Panama box with wave after wave of attacks but the Central American side were physical, organised and intent on holding on to a famous draw against the five-time World Champions.